Did you enjoy the classic sci-fi movie, Blade Runner? Did you laugh at the Back to the Future (BttF) time-travel trilogy? 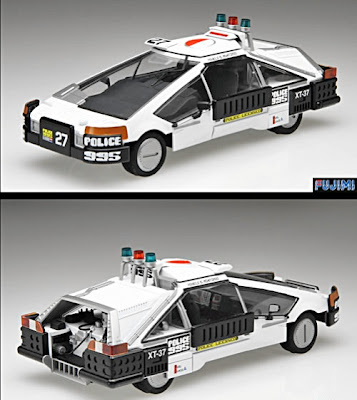 If so, we bet you didn’t know that Blade Runner’s Spinner cop car also appeared in the second BttF movie. And now here it is again, coming shortly as a 1:24 scale kit, from Fujimi of Japan. 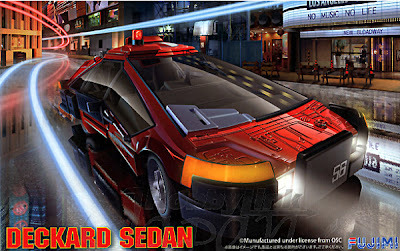 The latest Fujimi 1:24 scale sci-fi kit, simply titled ‘Future Car’ features a vehicle that’s said to be briefly seen in Back to the Future II - so very brief, in fact, that the SMN Crew fast-forwarded the DVD last night without spotting it. However, we live in hope and will sleuth some more tonight! 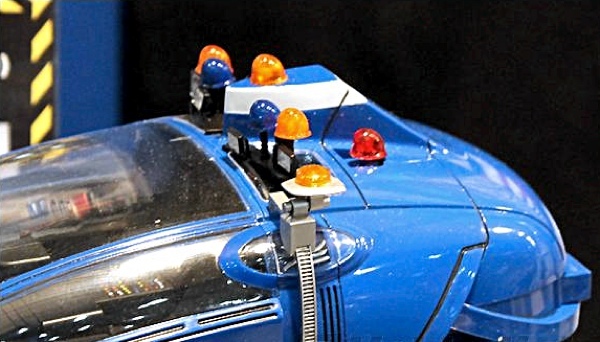 The new injection-moulded car is essentially a standard Fujimi Spinner kit, less police accessories such as the roof lights, though they are included in the box. 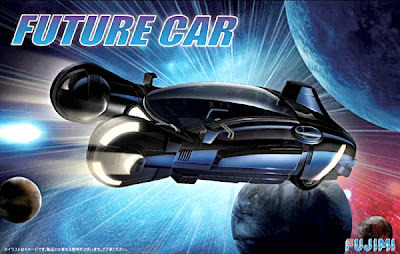 As you can see from the box-top art (header pic), the overall look of the Future Car is somewhat sleeker than the police Spinner, so it’s none the worse for being minus some items. We’re told that the BttF prop was an actual Spinner, which had been parked in the studio back lot. 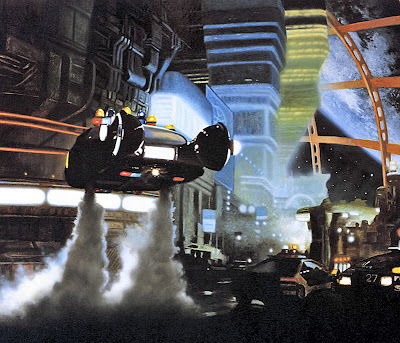 Kudos to the movie-makers, and another cute car (a befinned Cadillac also cruised around in a scene or two) for sci-fi nerds like us to search for. This injection-plastic kit has plenty of tidy detail, and - suitably - can be posed in either ground-car or flying-car modes. Components are mostly supplied in white and transparent, though the police lights are red and blue, with two more in clear, ready for painting orange. The Italian specialist decal outfit Cartograf has supplied a comprehensive decal sheet, and there are also three photo-etch Spinner logos, for decorative purposes. Fujimi also makes a pre-painted Spinner, which has the main components supplied in a finished state. This could be a useful desktop quickie for you, though as usual with pre-finished models, the keen enthusiast will want to make it look better with some extra work, especially with panel detail, and some overall light weathering to give it a ‘working machine’ sense of reality. 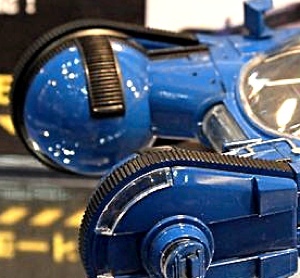 Fujimi’s Blade Runner set is finished off (only for the moment, we hope) by the 1:24 scale Deckard Sedan kit. This is the ground-car driven in the movie by the robo-hunter Rick Deckard, played by Harrison Ford. The Future Car is an unusual kit from Fujimi, and we’re looking forward to its May arrival immensely. 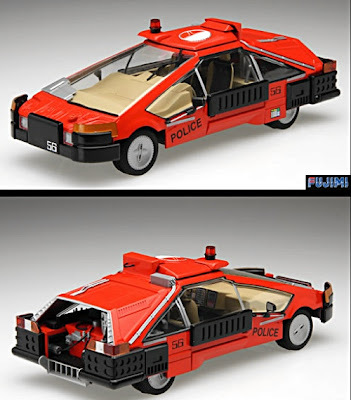 Let’s hope Fujimi carries on with the 1:24 scale Blade Runner series, as there are plenty more vehicles lurking in the rain-washed streets of near-future Los Angeles. More Spinners at SMN here. See the Fujimi future cars in 1:24 scale here at Hobby Link Japan. Fujimi stuff here, including Blade Runner kits. 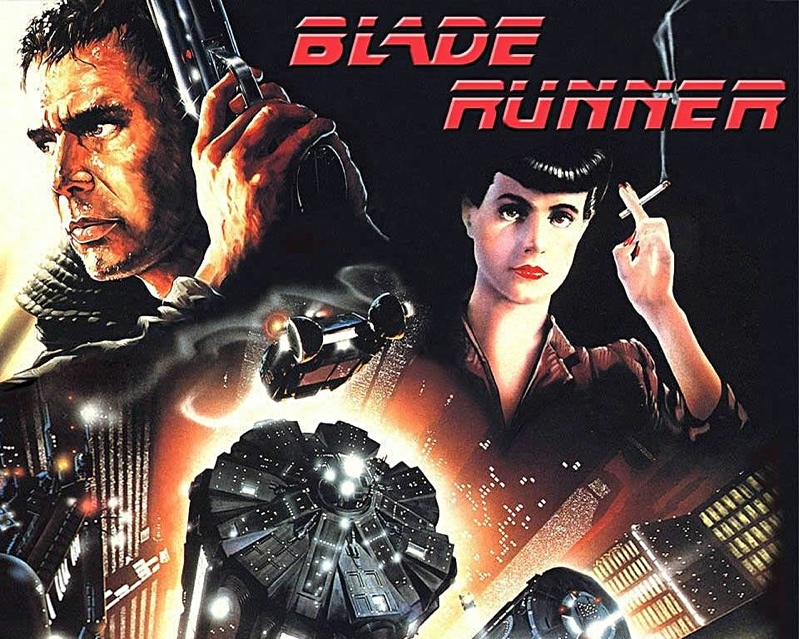 Blade Runner movie poster (above) and (below) stills with Spinners. The movie was released back in 1982, the plot setting the story in 2019. Model pictures courtesy Fujimi and Hobby Link Japan.